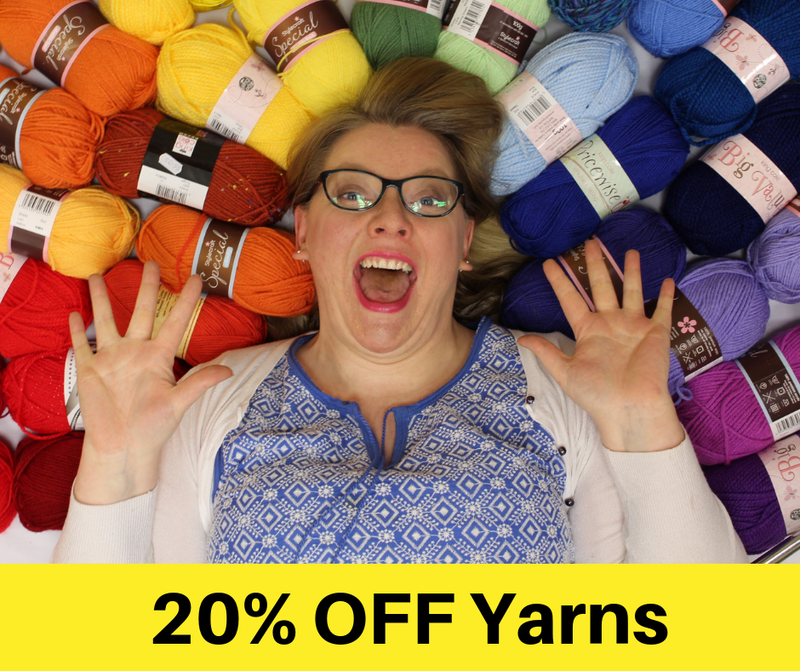 We are so excited about Yarn Shop Day 2019. We have loads of treats and fun activities planned for our lovely customers on Saturday 27th April. 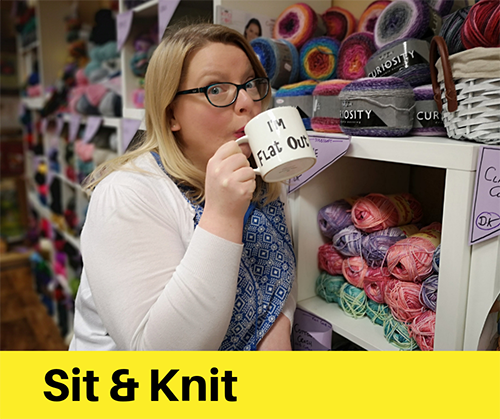 For those of you unfamiliar with Yarn Shop Day, It is a yearly event where bricks and mortar yarn shops celebrate with loads of exciting activities, giveaways, goodies, and general spoiling! Read on for some of our highlights. On Saturday 27th of April we are having a one day 20% OFF ALL YARN sale! From super chunky to crochet thread all our ranges will be 20% off for the day. Extra savings on yarn packs and discontinued lines too! Get those hooks and needles sharpened! Go over the basics and get knitting again! From 11am-12.30pm on Saturday 27th we’re running a class that will show you the basics – plain and purl, casting on and off, increasing and decreasing and casting off. €5 per ticket – redeemable in store afterwards. 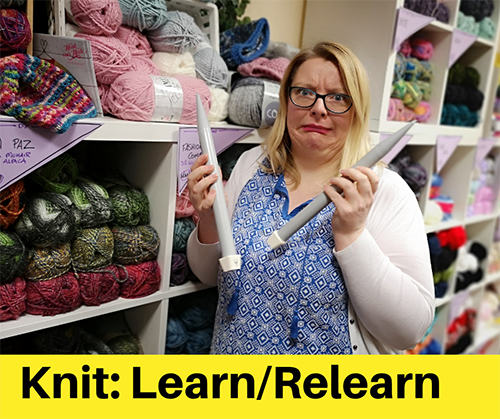 Whether you never learned or have a vague memory of knitting from your school days or granny, this is a wonderful opportunity to learn or re-learn knitting. 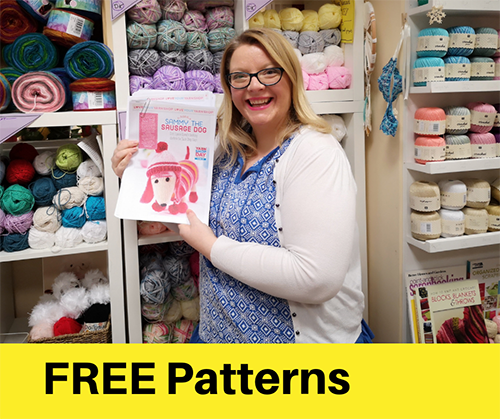 Pop in on Saturday 27th to pick up free knitting and crochet patterns for Bubbles The Whale, The Turtle Family, Suzi The Sausage Dog and a fab new squares blanket. Just spend €15 to get one or more patterns! You can even use your new knitting skills! Join us between 10.30pm and 1.30pm on Saturday 27th to knit and crochet for the Christmas Shoe Box Appeal. Knit or crochet some of our free patterns or a hat or gloves and brighten a child’s day. Cake and coffee a must! 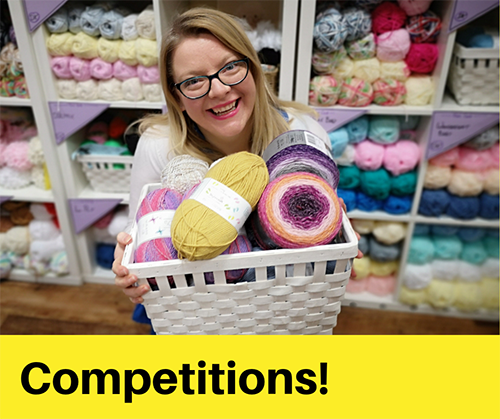 We’ve two yarn hampers to give away in-store and online to celebrate Yarn Shop Day! Like and share our post on Facebook when it goes live and when you shop in-store on Saturday 27th you’ll get a entry ticket into the other draw. Kid’s Easter Craft Challenge – FREE Lucky Bags!